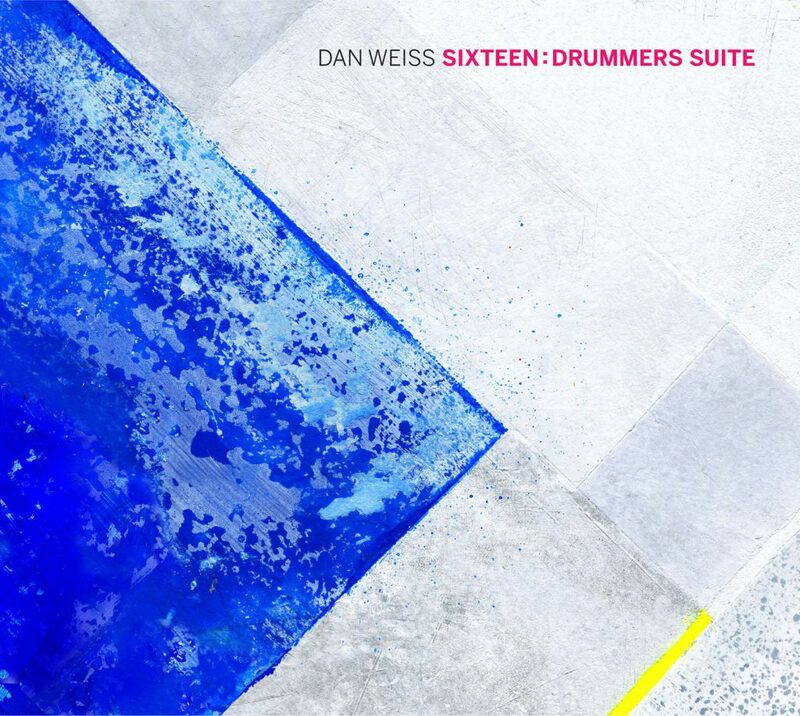 Sixteen: Drummers Suite is the highly anticipated follow-up to Fourteen, drummer/composer Dan Weiss’s brilliantly ambitious opus for fourteen musicians. Nate Chinen of the New York Times named it one of his top ten releases of 2014, and Peter Hum in the Ottawa Citizen called it “a blazingly creative effort. Ultimately, its audacious and unconventional success is uplifting, a testament to whats possible and what can be imagined.” Sixteen is even more daring: The ensemble is now comprised of sixteen musicians, featuring drums, acoustic bass, guitar, piano, synthesizer, three saxophones, two trombones, tuba, flute, three voices, harp, glockenspiel, organ, vibraphone, tabla and percussion, giving the work even greater sonic scope. Like on Fourteen, the work is an unique amalgam of jazz, Indian music, prog rock, contemporary classical music, and other completely idiosyncratic influences, all woven by Weiss into a completely sui generis musical tapestry. As on Fourteen, the work is through-composed and written specifically to showcase each musicians unique sound. Even with all the tricky rhythms and abrupt changes in the music that might seem unwieldy for such a large group, the musicians pull it all off with aplomb. Jen Shyu says of Sixteen: “I was most struck by how tailor-made it was for each of us. During the recording session he seemed to know exactly how it would sound. The music really shows the vastness of his imagination and is a window into how his mind works; how he is able to bring all of these influences together. For all its complexity rhythmically as well as melodically and harmonically, the music remains penetrating and lingering.” Jacob Garchik, who plays trombone and tuba on the recording said “Danny has a distinctive compositional voice, which mirrors his vibrant personality: deeply layered and complex, with humor, surprise, virtuosity, tradition, swing, soulfulness, and groove.” On Sixteen, he abstractly and beautifully translates the multi-layered styles of his drum heroes, their independent limbs to simultaneous melodies. It delights with overlapping, complimentary layers where melodic lines co-exist in different rhythmic cycles, instrumental groups, stylistic references, and sonic palates. With Sixteen: Drummers Suite, Weiss has realized another exceptional achievement, one that continues to reimagine the possibilities of what a large ensemble can do in a jazz context.